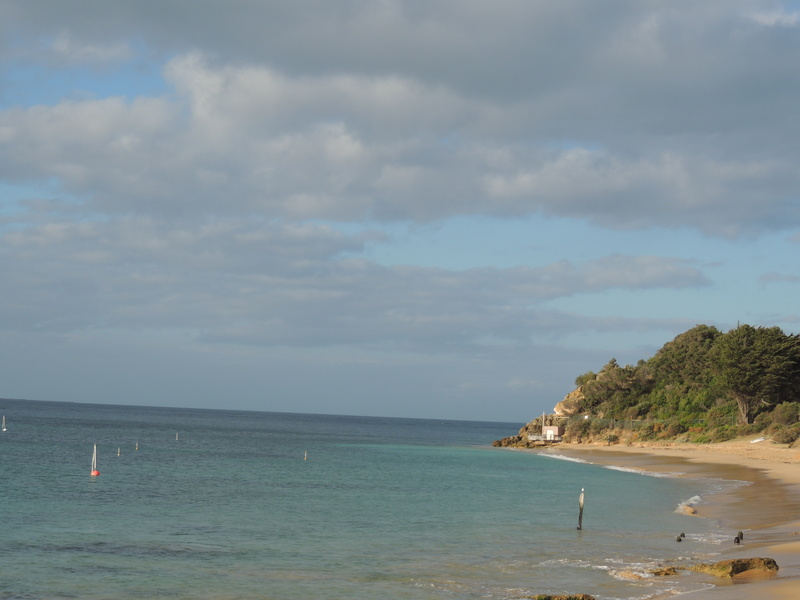 Mornington Peninsula – These Two Eyes! 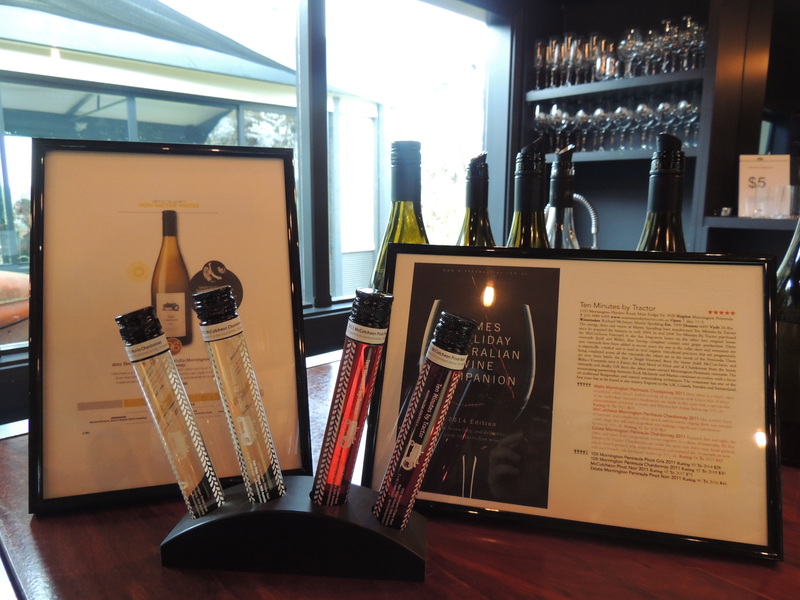 The Mornington Peninsula is a region southeast of Melbourne known for producing fabulous pinot noirs and chardonnays – two of my favorite varieties. Although small, the fifty or so wineries scattered about it, in addition to cheese farms, strawberry fields, weekend markets and cute B&Bs make for the perfect weekend getaway. After about an hour’s drive Wes, Gemma, Anne Marie and I found ourselves winding around the steep incline up to the top of Arthur’s Seat, a major tourist attraction overlooking the peninsula, the city of Melbourne in the far distance, and a beautiful view of the ocean 305 meters above sea level. On a cloudy day like yesterday our view of the city was limited unfortunately however the overall lookout was breathtaking. 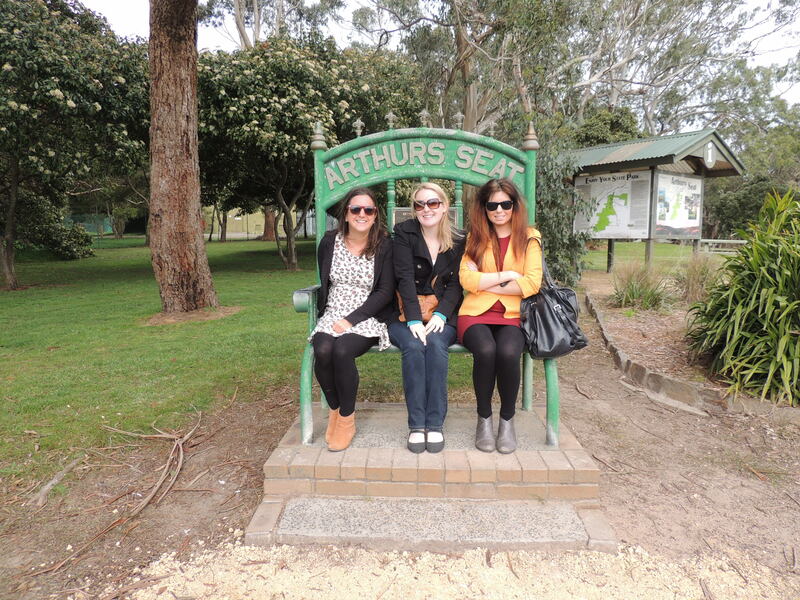 After a quick jaunt around the national park and a photo snap on Arthur’s infamous seat it was time to move on. T’Gallant winery was our first stop. With picnic tables hugging the vines it was the perfect place for a cheese plate and gourmet pizza, accompanied by a not too oversweet moscato and a bottle of their sparkling. 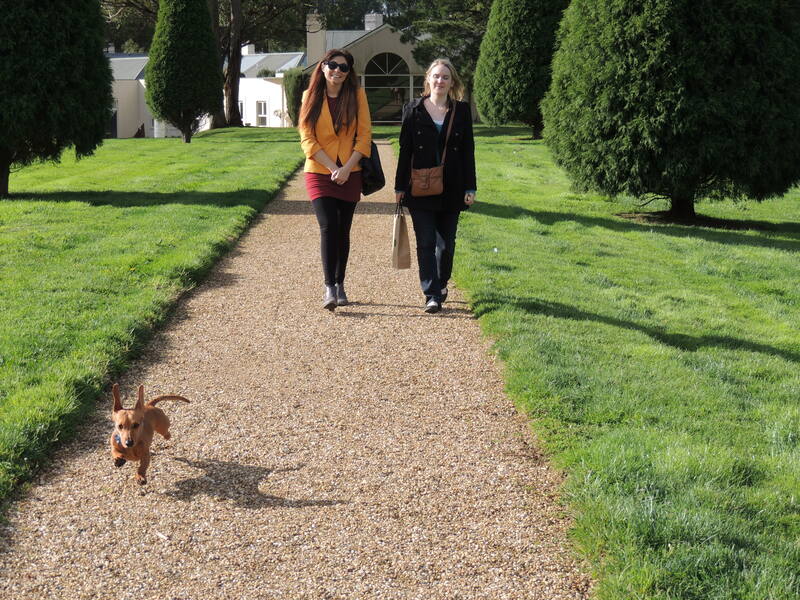 Bringing along Wes’ dachshund Frieda meant we were the posse accompanying his celebrity, as guests couldn’t resists a pat despite his sandy paws leaving dirt prints on their pants. Overdivulging, we didn’t leave before trying their ice cream with honeycomb dessert and at that point the rain had settled and we were eager to move on. Next door, I thought it was a joke that we arrived at Ten Minutes by Tractor, another fabulous, two-chef winery in the region. This small cozy winery consists of three local farms only ten minutes by tractor from one to another, which inspired the name once they decided to partner up. Already high profile due to their celebratory chef status, they’ve been featured in many magazines, including a favorite of mine Qantas’ The Australian Way. I couldn’t leave without their 10X pinot noir in my hand. Opting for a something different, we headed another few minutes down the road to Mock Red Hill orchard. A bit desolate we weren’t even sure if they were open, but upon walking into the original cool room built in 1945 we were greeted with friendly smiles by two of the siblings of the family owned business. 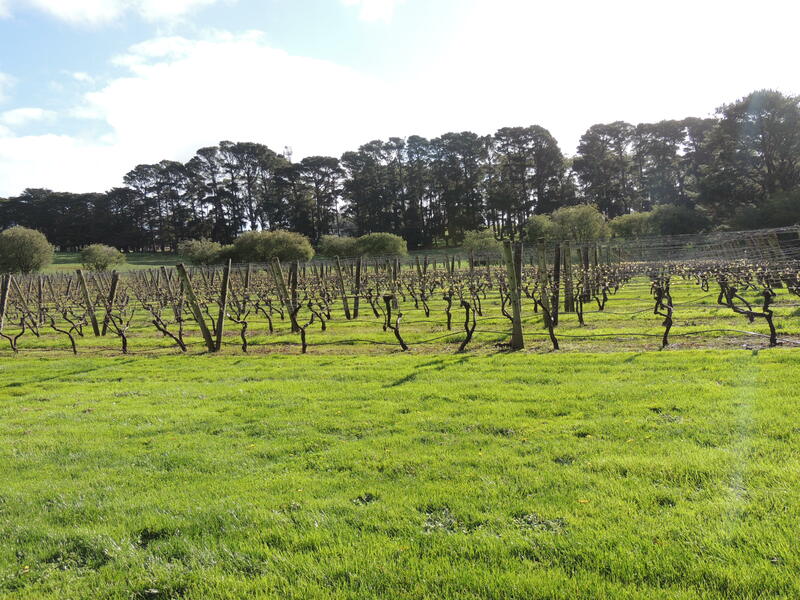 We learnt quite a bit about the fine details of cider making, and the Mock family pride themselves on their biodynamic, no sugar added ciders. Clearly, how could I resist not walking out with a 6-pack of their fine classic cider. Not sure what our next stop would be, we took an impromptu left turn as Gemma shouted, “that one,” and found ourselves at the cellar door of Lindeberry at Red Hill. Not realizing at first, this hoity toity wedding reception hall, spa and cellar door has recently won a five star for their pinot noir in the James Halliday 2014 wine competition. The priciest yet of all of our visits, yet well worth the cost of the pinot. As the day was winding down we traveled another 30 minutes south to the sea to stop in the small village of Portsea. Animals were forbidden in the national park and we didn’t want to discriminate against Frieda so bundled up in Portsea Hotel’s back garden. Relaxing on wooden picnic benches, the view overlooked the ocean and we nibbled on potatoes wedges with sour cream and sweet chili as our last stop of the day before making the sleepy journey back up to Melbourne.